Smartphones and tablets have proven themselves as capable, powerful and versatile gaming machines. They’re ill-suited to some genres (a real-time strategy or classic 2D fighter will always be a push on your iPhone) but every year a host of commendable video games always land in the App Store. What follows are my favorite iPhone and iPad games from the last 12 months. The titles that delivered the most creativity and innovation, or that I felt were just downright fun to play. The titles that I would recommend without hesitation. The titles that pushed the interactive medium forward. Ridiculous Fishing oozes creativity. The stained-glass window aesthetic, the responsive motion controls and ingenious power-ups; everything about this game feels fresh, surprising and joyous. That’s before we even touch on its premise: a simple fisherman that wants to reel in as many lucrative sea creatures as possible before blasting them out of the sky with a slightly concerning array of heavy-duty firearms. Beneath all of the polish and charm is a gameplay loop that is fast and addictive. As the player, you control the line as it descends into the water, moving the handset left or right to dodge incoming fish. When the line snags, you then do exactly the opposite and catch as many as you can on the way back up. Once your haul breaks the surface, you’ll then need to tap or swipe the screen to unload your clips and claim a cash prize for your spoils. All of this might sound a little complicated, but in practise each round lasts little more than a minute. Like any good portable title, it’s easy to pick up and blast through a few rounds, before buying a couple of new power-ups and calling it a day. The gameplay loop is so simple and so satisfying that you’ll be coming back until you’ve unlocked everything the app has to offer. It’s difficult to recall more than a handful of video games that use a monochrome color palette. 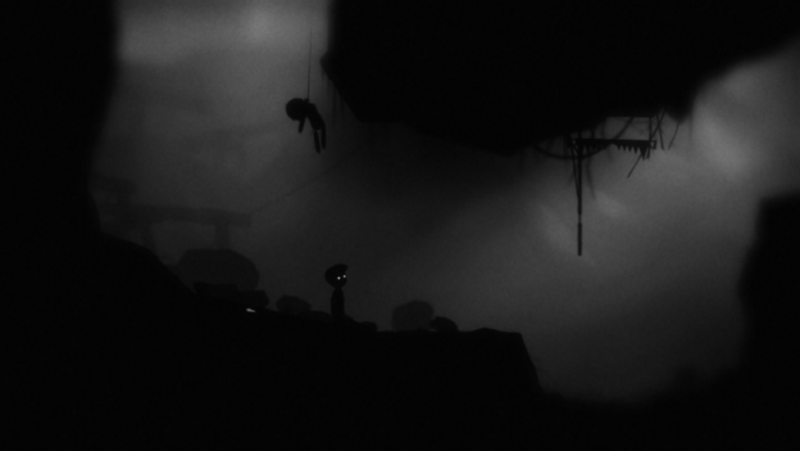 LIMBO revels in this design choice by offering a sombre, suffocating atmosphere that builds tension, fear and intrigue in equal measure. For its artistic vision alone, developer Playdead‘s indie puzzle-platformer is a refreshing and immensely rewarding experience. LIMBO was originally an Xbox Live Arcade title, so its simple controls were tailored for a traditional gamepad. The touchscreen implementation forgoes any visual cues, so while you can touch anywhere on the screen to move the unnamed boy around, the game can often feel slow or unresponsive. Thankfully, this is offset by the glacial pacing, which rewards exploration and experimentation. Puzzles are challenging but never infuriating, with some truly horrific death sequences should you fall into a spike-ridden pit, a bear trap or the reach of a deadly spider. Animations are smooth and the sound design is tremendous from start to finish (a decent set of headphones are a must). Although there isn’t much of a story to latch onto, the mystery and emotion that envelops this world will have you hooked until the very end. As a franchise, Grand Theft Auto needs little introduction. The chaotic open-world RPG has captivated millions and San Andreas, the last game released for both the PlayStation 2 and original Xbox, is considered to be one of the series’ best outings to date. 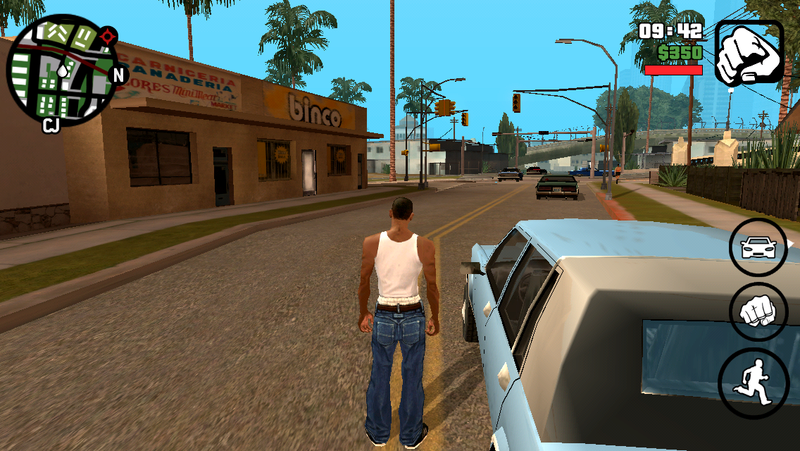 Console titles have received iOS ports before – including Grand Theft Auto III and Vice City – but it’s still impressive that a game with the size and scope of San Andreas can run on a smartphone. Rockstar offers a few different control styles for touchscreen players and while it’s never an adequate substitute for a physical gamepad, the game is still playable. The entire campaign is intact, with all of the trouble and crazy hijinks that Carl Johnson quickly finds himself in. The game’s textures have been revamped for the iOS version, but it’s still the same engine and character models from the original 2004 release. It can look a little comical at times, but that only adds to the charm of this stellar title. If you’ve never played San Andreas before, the iOS version is a brilliant place to dive in. It’s a hefty 1.5GB file from the App Store, but this classic will give you dozens of hours filled with pure, unadulterated carnage. When Telltale Games unveiled its original take on ‘The Walking Dead’ franchise, the video game community was blown away. The episodic series combined a heart-breaking storyline with frequent, dynamic choices that made the experience feel personal and unique. 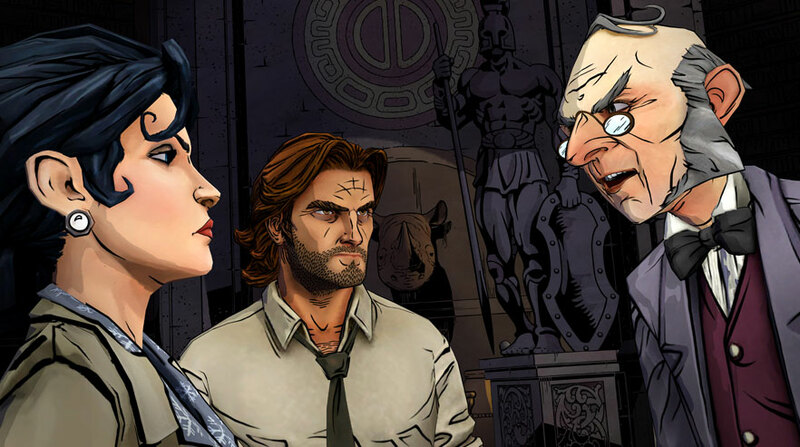 The Wolf Among Us is the studio’s next foray into comic book adaptations, expanding the Fables series conceived by Bill Willingham. While the premise is even more fantastical, it’s easy to immerse yourself in the lives of these fairytale creatures and the game’s beautifully noir New York City. The presentation is incredible, combining stark, sweeping brush strokes and a neon color palette that oozes style in every scene. The writing is also top-notch, touching on issues and questions that other video game studios would never dare breach. Only episode one is available right now, but don’t hang around – The Wolf Among Us is a memorable and engrossing two-hour romp. Five years ago, I thought we had seen the last of Rayman. Like Crash Bandicoot, Spyro and many other platformers from the PlayStation era, the limbless hero had struggled to find its audience in a landscape filled with mature, grizzly shooters. 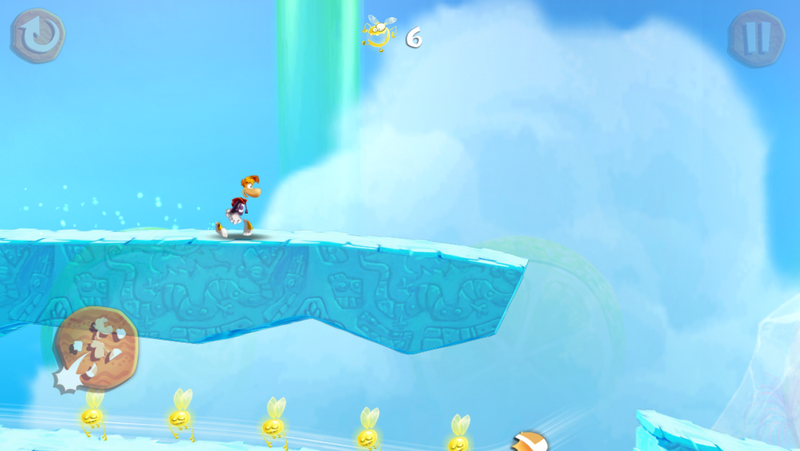 Following the bright and inventive Rayman Origins, Ubisoft simplified the reinvigorated 2D platformer into an endless runner called Rayman Jungle Run in 2012. It was a sublime twist on the genre and its successor, Rayman Fiesta Run, is just as bright and accessible. In over 75 stages, Rayman runs flat-out in a bid to collect Lums; small, glowing critters that reward you with power-ups and other goodies. You only need to touch the screen to make Rayman jump, as the rest of his acrobatics are handled automatically. It’s a little hands-off, but it means the controls are quick, snappy and well-suited to a touchscreen device. Every aspect of the presentation has been handled with meticulous care; character sprites and animations are gorgeous, and each level is brought to life with bright colors and beautiful illustrations. Each level takes no more than four or five minutes too; this is perfect ‘pick up and play’ material. Cut the Rope was a landmark title when it first launched back in 2010 and although there have been numerous sequels since then, the core gameplay is still imaginative and utterly gratifying. Cut the Rope 2, released earlier this month on iOS exclusively, improves the formula with dynamic stages and new characters that help Om Nom on his latest candy-filled adventure. Zeptolab’s puzzles have always been at the heart of the Cut the Rope franchise and in this numbered sequel, the team again strikes the perfect balance in difficulty. You’ll frequently have to stop and analyze your options, before experimenting with a few ideas and reflecting on what you could have done differently. Each stage has only a few variables in play though, so it doesn’t take long to stumble upon that all-important ‘eureka’ moment. Cut the Rope 2 is perfect for children and adults alike, with a cartoon aesthetic and cheery soundtrack throughout. The in-app purchases are a small concern, but thankfully you can still finish the main storyline without spending any cash. The last year has been packed with sequels for some of the most successful video games to grace the App Store. 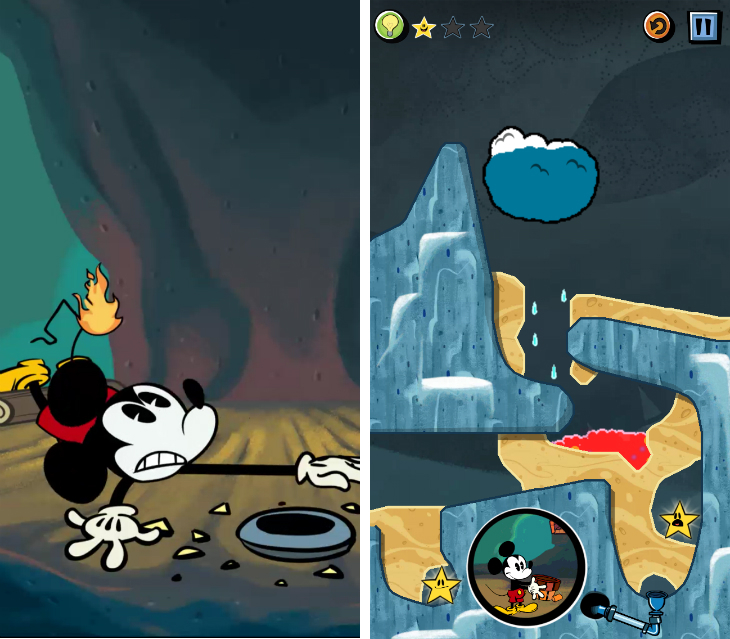 Where’s My Water?, the physics-based puzzler from Creature Feep and Disney Mobile, is no exception. Although a numbered sequel was released in September, its predecessor Where’s My Mickey? makes our shortlist for a simple reason – it features the beloved Disney mascot. Similar to previous instalments, the game tasks you with guiding a pool of water to wherever the iconic mouse is laying in wait. New weather mechanics, such as wind and rain, add some much-needed variety to the game’s proceedings and it’s satisfying to navigate the various pipes and sand depositories to pick up stars in a timely fashion. If you’re a Disney enthusiast, you’ll appreciate the traditional illustrative style and animated skits spliced in-between stages, as well as the extra collectibles that are hidden throughout each chapter. If you’re willing to spend a little cash, the app also offers two additional chapters featuring fellow Disney icon Goofy. 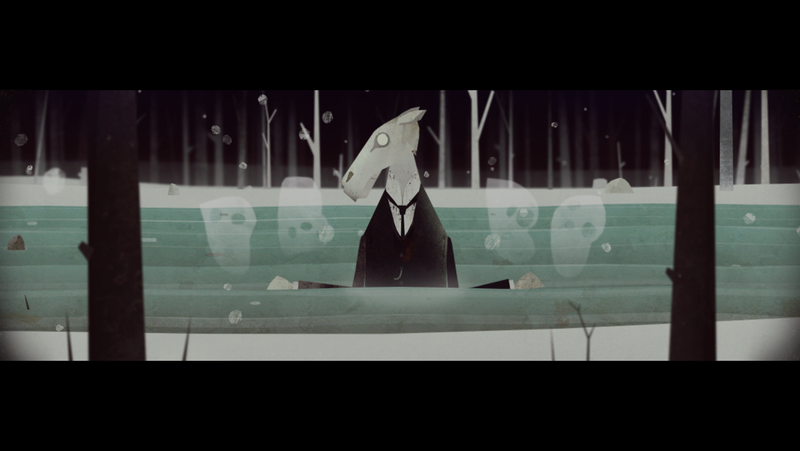 Year Walk is one of the most unusual and captivating experiences I’ve ever had on an iOS device. It’s an atmospheric adventure game which lets you navigate a dark forest, split into two-dimensional layers, from a first-person perspective by pulling at the foreground and background as required. Simple arrows dictate where you can move and most of the time you’ll need to figure out what to do next on your own. There are a few devilishly tricky puzzles, but otherwise this is a narrative-driven experience. To discuss it at length would ruin its many surprises, but suffice to say this is a gripping, surreal tale from start to finish. It’s centered on the ancient Swedish custom of ‘year walking’, which involves sitting in a room for 24 hours with nothing to eat or drink, before walking to the nearest church on the stroke of midnight. If you could reach the religious sanctuary safely, avoiding the dangerous creatures of the night, you were then able to foresee the coming year. I love games that are simple to pick-up and test my reaction times with lightning-fast, frenetic gameplay. If you’re the same, Knightmare Tower is for you. The premise is daft, but simple; a knight wants to reach the top of a ludicrously high tower to save the day and avoid the rising lava that wants to melt him down into gooey nothingness. The only way to project the little fella skyward is to defeat enemies that are lying in wait beneath you. 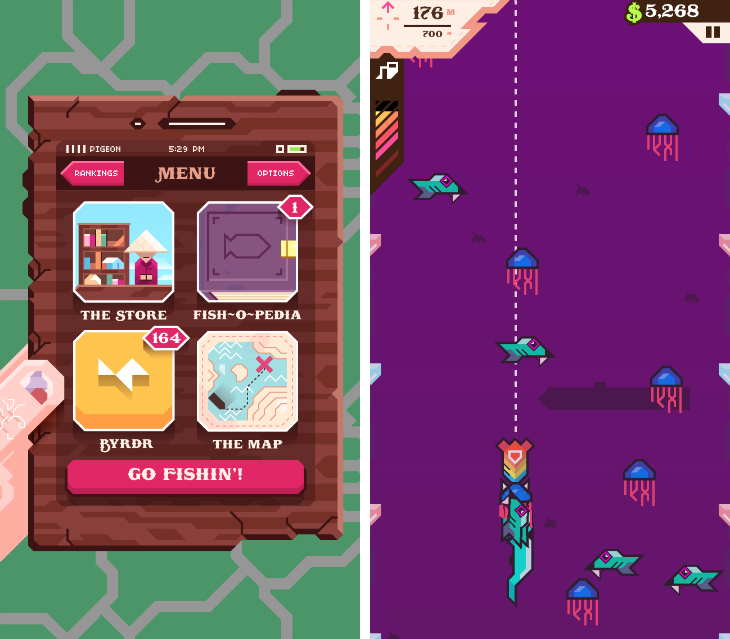 Rather like Ridiculous Fishing (which we singled out earlier), you tilt your iOS device to move your character left and right, before tapping the screen for a downward jab. Hit enough enemies in quick succession and you’ll be boosted further up the tower. That simple gameplay loop is insanely addictive and rewards timing and quick reflexes in equal measure. Just like Tetris, you’ll quickly feel like you’re “in the zone” and lose yourself for hours at a time. With more powerful weapons, extra hearts and other power-ups to unlock along the way, Knightmare Tower will quickly pull you in with its finely tuned progression system. “This game is only playable with sound switched on. Please hold the device about 6″ from your face. 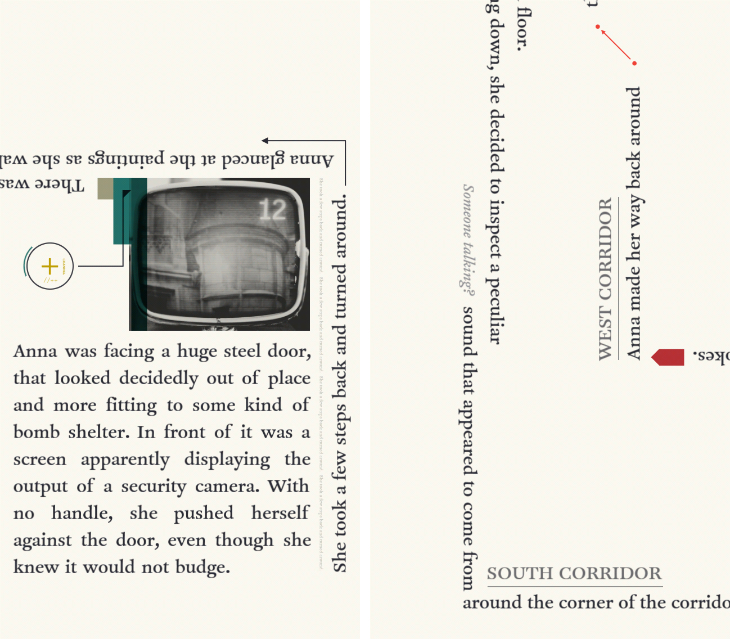 Keep the device steady during scan for more precise identification.” As soon as I read those opening lines, I knew Device 6 was going to be different from the usual crop of mobile video games. Each level is presented as a page or chapter from a paperback novel, which you can then read and listen to at your leisure. You’ll need to twist and turn your device to continue reading, as the shape of the text is transformed to match the character’s movement in the story. Windows cut into the screen illustrate the storyline with relevant images and videos, and at times you’ll need to solve puzzles by using what you’ve seen or learnt along the way. It’s an experience like no other; part e-book, part puzzle game, Device 6 is difficult to describe or categorize within conventional game genres. Simple, yet complex at the same time. This is a piece of interactive entertainment that you don’t want to miss. If you’re still itching for some new games to play this holiday season, I recommend the following apps that came out in 2013. They didn’t make my top 10, but each is excellent in its own right.